Cruising without compromise is the name of the game for the all-new 2018 R-27, introduced in Autumn 2017, from Ranger Tugs. Straight from the factory, your new R-27 will be outfitted to cruise, fish, and play in comfort and style. Powered by the efficient and popular Yamaha F300 outboard motor, the new R-27 doesn’t waste time delivering you and your family to your next adventure. Enjoy peace of mind knowing that the included Garmin 7612 Chartplotter will guide you safely on your passage and that when you arrive, the bow thruster will make docking a non-event. The curved front windshield and overhead glass atrium provide beautiful 360 degree views and generous light throughout the salon. Open the aft glass bulkhead in tandem with any of the hatches, windows, or port lights to deliver a fresh breeze throughout the cabin. Chefs will be delighted to cook in the full galley or to simply grill on the removable electric Kenyon grill. When taking in a gorgeous sunset, you and your guests can enjoy the view from the spacious cockpit or from the new double lounge seat on the bow of the R-27. The new R-27 from Ranger Tugs is designed and built to offer maximum usability, value, and FUN. When you buy a Ranger Tug you’re not just buying a boat, you’re joining our family. 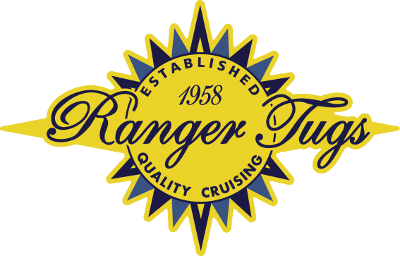 Check out the 2018 Ranger Tugs R-27 web page. 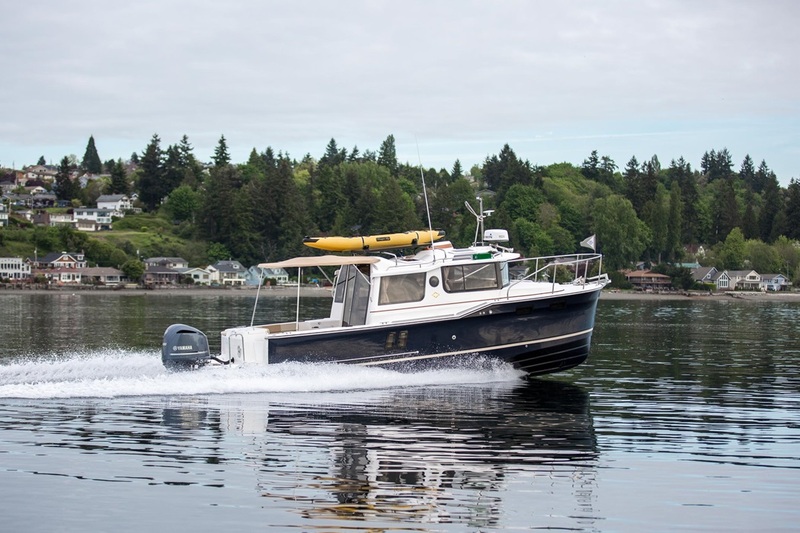 Let us know if you'd like more information about this Previously Owned Ranger Tugs 2017 R-29CB! Tell us about how we can help you discover that this is the boat for you! Tell us about how we can help you get out on the water in a Ranger Tug!